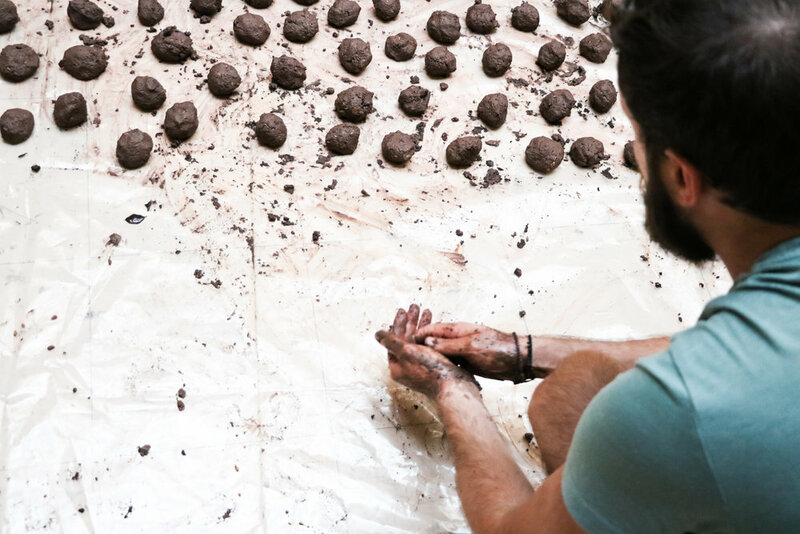 Offered live music, traditional dances, and free food for all, with the participation of social kitchen, "O Allos Anthropos"
"Feast of Sowing" is an active, participatory, and dynamic celebration in Omonia Square. All together, networks of solidarity, the city's population, refugees and artists celebrated and danced with live music, making a symbolic act of sowing. Reviving the "Seeding Festival", which was formerly an opportunity to celebrate and participate with the whole society. We meet, in Omonoia Square, to celebrate planting seeds from which will sprout new relationships, new ideas and new hopes. We highlight Omonoia Square as a focus for the new society that will grow through the concrete of the city center. Due to the economical breakdown that has affected the once lively public spaces and congregation areas of the city center. These spaces have become "urban voids" in terms of social function; This project takes the form of a participatory action that seeks to temporarily activate the area and to bring life back to areas such as Omonoia Square. "The Sowing of the Seed" is an opportunity to celebrate the beginnings of a new society, that will grow through the concrete of the city center. Influenced by Foucault's concept of "heterotopias", the action also draws from the ancient myth of Persephoni - the mythological narrative connecting to the festivities and rituals marking the time of the year when the sowing of the fields takes place in agrarian communities. The action takes the form of a celebration in the center of the city, with ceremonial elements, held on the public space of Omonoia Square, which acted as a in-promptu social gathering with a large participation by the public. The festivities are contributed to by food and drinks distributed by the social kitchen independent solidarity group "O Allos Anthropos". Street musicians are also involved the festivities on the square. The public actions on Omonoia square, the sharing of food, dancing and singing, bring people together, a friendly coexistence under the symbolic idea of sowing. 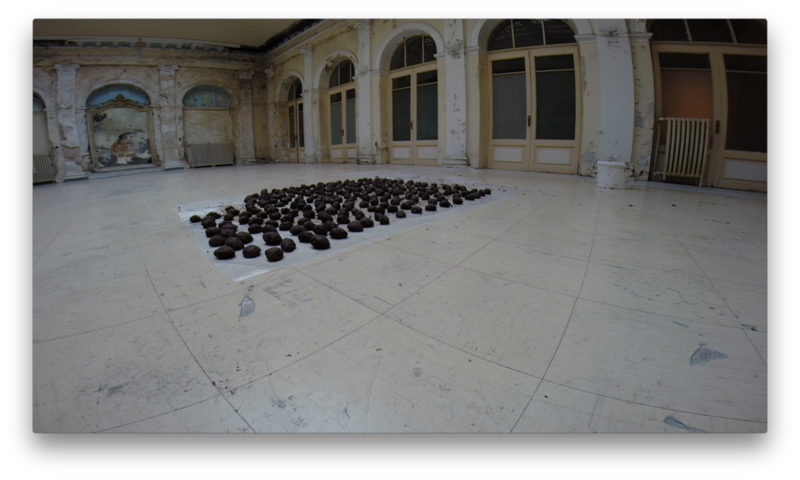 Within this setting, the ritualized action of the "sowing of the seeds" is undertaken by the artist, who spreads clay balls containing wheat seeds on the square and the surrounding areas. The specific time of the year in which the action takes place matches the marking of the beginning of the Autumn season of sowing time across the folk calendars of Europe. In this way the action of "sowing" is realized in a way that relates to the concepts of renewal and potentiality of life contained the myth of Persephone. Thus, the energy of the mass congregation, that "brings life back" to the historical square of Omonoia is paralleled by the artist to the rise of Persephone that was celebrated in the ancient Eleusina Myseries. 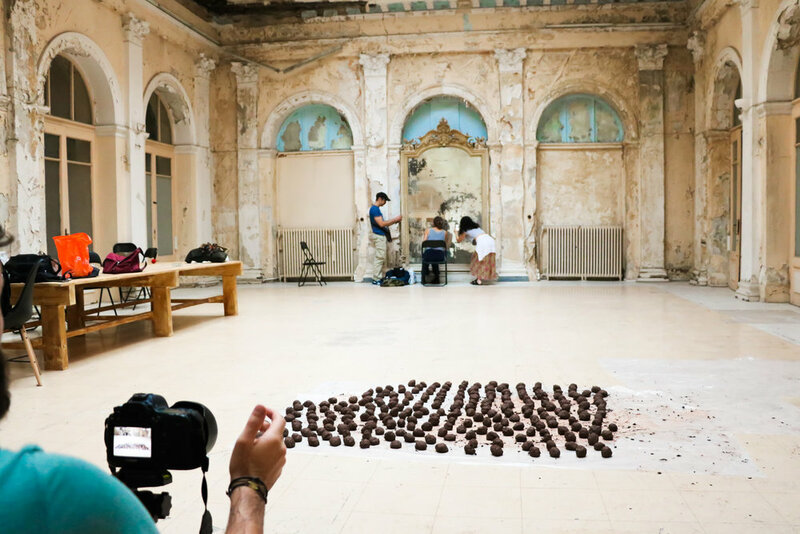 "Feast of Sowing" took place as part of ACTS OF ENGAGEMENT | CYCLE 1, which was organised and curated by Contemporary Art Showcase Athens in the context of the Athens Biennale AB5to6 "Omonoia"